Detroit, MI: Wayne State University Press, 2015. I too come from a community where oral poetry has defined our bones, given us speech, and taught us how to walk; and have struggled with how exactly to write in Caribbean Hindi, offering translations that hold up in English. 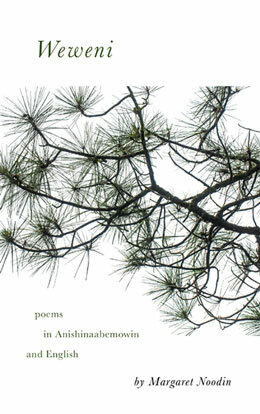 Noodin provides a template of how to engage the American poetic landscape conceiving a “project” of language, and writing poems that serve her concentric communities, poems that are artful and profoundly moving, poems that teach survival. Her strategy maintains the music of Anishinaabemowin and treats her own English “translations” as “lyric explanations” (ix), a notion that decenters English-only American sentiments. Whether the breath of the spoken poem or the wind as personified shaper of environment, we know that there is a depth to listening that does not always occur in human speech. In the case of “Listening” the whispers occur between lines, not coming from the tongue’s tip nor alveolar ridge, but rather from a deeper space of poetry. We must listen outside of ourselves. We must listen despite our expectations. The secret is that we already know how to listen. The practice of reading links the reader to the realm of the ancestors, a deeply rooted biological truth. These “old ones” know our names and know that we know how to live with integrity — they are the “truth in our bones.” There is a promise that Noodin makes at the outset of the book: if we read attentively and listen with our bones, we as readers, will glean a deeper “truth” in these dreams, these spare and profound poems. She asks us to be led by our memories and intuition through her images. Here a conversation begins. Indeed, Noodin references the often-appropriated term “aloha” to show that an entire universe spins in its nuanced meaning. Positing a parallel to her project, with the word “Aloha” and its Anishinaabemowin connection, Noodin nods at the Hawaiian Cultural Renaissance, thriving since the 1970s, and the resurgence of ‘Ōlelo Hawai‘i. The Anishinabemowin word “Aaniin” sounds close to the Hawaiian word “‘āina,” which means “land.” Together the words “aloha ‘āina” mean a politics of connection to and loving maintenance of the land. It’s the indigenous politic that drives ecological sustainability and continued Hawaiian resistance against American occupation. Hawaiian organizing connects with indigenous struggles worldwide as a possible template for one of the ways of listening — this Noodin asserts not only through poems like “Aloha – Aaniin” but also throughout the collection. Winner of 2015 AWP Intro Journal Award and the 2014 Intro Prize in Poetry by Four Way Books for his first full-length collection The Taxidermist’s Cut (Spring 2016), recipient of a PEN/Heim Translation Fund Grant, and the 2015 Kundiman Prize for his manuscript The Cowherd’s Son, Rajiv Mohabir received fellowships from Voices of Our Nation’s Artist foundation, Kundiman, and the American Institute of Indian Studies language program. His poetry and translations are internationally published or forthcoming from journals such as Best American Poetry 2015, Quarterly West, Guernica, Prairie Schooner, Crab Orchard Review, Drunken Boat, Anti-, Great River Review, PANK, and Aufgabe. He received his MFA in Poetry and Translation from at Queens College, CUNY where he was Editor in Chief of the Ozone Park Literary Journal. Currently he is pursuing a PhD in English from the University of Hawai`i, where he teaches poetry and composition.